Forget about the world coming to an end. Imagine the power grid getting knocked out for two weeks. That’s two weeks without refrigerated food and, in most places, two weeks without water, as most modern plumbing systems need electricity to operate. So what are you doing to prepare for a power outage? For most Americans, the answer is likely nothing. However, power outage survival is a real concern. In fact, many have speculated that North Korea wants a nuclear weapon – not to incinerate Seattle, but to detonate the device in low orbit and knock out the American power grid. Worst of all, America doesn’t seem to be doing much to prepare for this likely attack. If you’re going to prepare for one disaster, a medium- to long-term power outage is the one. America’s power grid is woefully inadequate, outdated and ill-prepared for an attack or even a natural disaster. Whether it comes in the form of an EMP from North Korea or Chinese hackers or any other source, the power grid isn’t something that you can rely upon on a daily basis. You need to know how to survive a power grid attack, or at least prepare yourself for a power outage, and this guide will show you how. As stated above, nuclear weapons can arguably do a lot more damage when detonated in low orbit than actually being dropped on a city. Basically, if a nuclear weapon got detonated at high altitude in low orbit, that would interact with our atmosphere. This includes the ionosphere, the teeming sea of electrons that makes most satellite communication possible. The end result would be a shower of electricity on earth, which is something we’ve never seen. It might take out the power grid for the entire half of the country, or it might be more localized. Either way, if this happens, we’re in for a huge shock. The process by which a solar flare would take out a huge chunk of the power grid is pretty much the same as an EMP, except this is a natural phenomenon that cannot be controlled by mankind. If the sun decides to send off huge solar flares, there’s precisely nothing we can do to prepare for it. This has happened before. In 1989, a solar flare knocked out the power for millions of Canadians for nine hours. How likely is this? Some scientists have speculated that this is a “when, not if” situation that’s more likely than an EMP attack. This is the main potential cause of a massive power outage that the government is planning for. Even Congress has reason to believe that malicious hackers, either in the employ of terrorist groups or foreign state actors, are looking into ways to disable the American power grid through a cyberattack. Even low-level cyber vandalism could knock out the power where you live for weeks. While the power being on in the rest of the country would make things easier for you and your family, you’ll still need to prepare even for a brief, localized outage. In a worst-case scenario, the same hackers can cause localized disasters around the power plant using the machinery. The American power grid is old and poorly maintained, which means it doesn’t take an EMP, a solar flare or cyber attack from international crime syndicates to take it down. 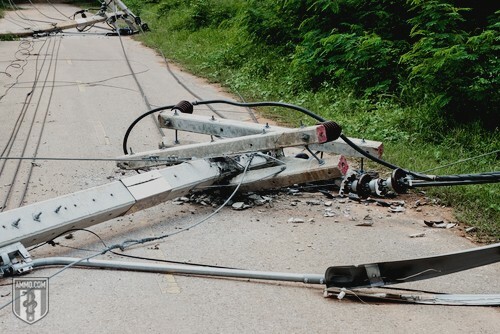 In fact, an electrical grid failure in one part of the country could quickly spread to another due to the grid’s interconnectivity. With half the country on one grid and the other half on another (except Texas) – the entire grid can go down like a house of cards. The biggest thing you’re going to need to worry about in the event of a power outage is the water supply drying up. Unless you have well water, you’re probably on a water system that needs electricity to operate. A power outage at the water treatment or processing plant means that you will lose access to the most basic necessity of life – water. This means you need to start storing your own water, as well as planning for the contingency that the water supply as you know it is never coming back. 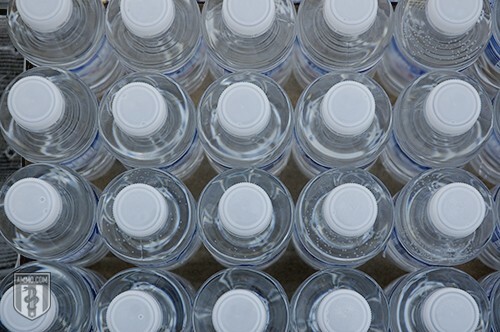 One gallon of water per person, per day is the absolute minimum when it comes to storing water. That includes one gallon per day for your pets as well. This is the water you’re going to need not just for drinking, but also for cooking, bathing and cleaning your clothes and food instruments. You go through a lot more water in a typical day than you probably think, so storing a lot of water is key to surviving even a moderate outage. Coming up with your own water supply is ideal, as you will find that water stores take up a lot of space very quickly. If you live near a water supply, like a river or a stream, that’s great. Just know that you’re going to have to boil the water for 60 seconds to ensure that it’s totally safe for drinking. Beyond that, if you want to be extra prepared, look into digging a well and getting your home onto well water. If that’s possible, you will have a virtually endless supply. Food is second for a reason: You’ll die much faster from dehydration than you will from starvation. What’s more, people in dire straits with food have often come up with rather creative solutions about how they can feed themselves in a disaster. All of a sudden that can of water chestnuts you’ve had in your cupboard for months is starting to look pretty good. All kidding aside, preparing for a food shortage or an interruption in the food supply chain is something you should be preparing for. There are a number of ways this might happen, but if the power grid gets knocked out, you can bet your bottom dollar that the food isn’t going to be coming for awhile. Stocks on the shelves will dry up almost instantly as word spreads. And what’s more, are you even going to have cash on hand to pay for food or are you banking on the supermarket being able to take your debit card? Any time meat or dairy goes above 40 degrees Fahrenheit for more than two hours, consider it unsafe to eat. Digital thermometers might be convenient, but keep in mind that a nuclear EMP will drain every battery in addition to knocking out the power grid, so have an old-fashioned analog version on hand just in case. Freezers are great because the food will stay good for two days. You can use that time to start cooking food in advance. Sure, the cooked food might eventually go bad, but it’s going to have a much longer shelf life than the uncooked food getting warm in the freezer. While not quite as pressing to your survival as food and water, not having light can be a nuisance at best. At worst, it actually can cause injury or even death if you’re walking around without the ability to see. In a survival situation, something as seemingly mundane as a broken toe can mean all the difference between life and death. So, some sort of source of light is a must. As stated above, you can stockpile batteries for your flashlights, but if there’s an EMP attack, those batteries are going to be useless. This is also true of LED headlamps and other sources of electric light. It’s not that having them is a bad idea, but you can’t count on them to actually work. So while the Red Cross warns against using candles, keep some on hand. Just be sure to keep them in the proper holders, not putting your candles near anything flammable and certainly not leaving the candles lit while you’re asleep. Communication during a power outage is important. You need to be able to collect your family members who aren’t anywhere near by. At the same time, you’ll want to communicate with your family members on the other side of the country (or even the other side of the world). There’s just one problem: In the event of a massive attack like an EMP, you’re not really going to have any options for communication. Even your diesel-powered generator won’t work, because the circuit board on every electrical device you own will be fried. Here’s what you need to know: The FCC requires that all cell phone towers have a four-hour battery backup. That means that they’re not going to withstand a prolonged outage due to hackers. In the event of an EMP, the battery is going to be drained right away. In theory, an EMP wouldn’t affect the landlines, but it would affect the relaying centers used to connect phone calls. And what’s more, your HAM radio also isn’t going to work. However, under virtually every other scenario, including the power grid getting knocked out by hackers, your electronic devices will continue to function properly, provided that you have alternate power sources. Beyond that, your cell phone is going to work for at least four hours after the power grid goes down. Use your time wisely when communication gets knocked out. You might have carbon monoxide detectors all around your house, but chances are you’ve never taken the subject very seriously. You worry about other unlikely disasters like house fires and burglars. But if there’s a power outage, not only are you going to have no detectors to let you know about a leak, you’re also going to be living in a world where a leak is far more likely. First, let’s talk common sense: Unless it’s a fireplace, it’s not a good place for starting a fire indoors. All indoor fires should be in a fireplace and all open-fire cooking should be done outdoors. If you are using a generator, don’t use that in any enclosed space (including your garage), because this can easily leak into the house. Common sense, and being aware that you don’t have any detectors, are basically all that you can do to prevent carbon dioxide poisoning when the power goes out. The summer offers unique challenges for those without power. For example, the news doesn’t put up those extreme heat warnings for little kids, the elderly and pets because they like to hear themselves talk. They do it because extreme heat can be dangerous. We’ve already covered water, which is absolutely essential when it comes to extreme heat. You need to stay cool and you need to stay hydrated. An increased need for hydration means that your water supply is going to go faster. You’ll want to drink a gallon of water every day, or basically your entire allotted supply of water for the day. You should also try to stay cool by opening windows on breezy days, wearing lighter-colored clothing and working during cooler hours when possible. Cold showers can be a great way to stay cool if the water supply is still working. Remember that alcoholic and caffeinated drinks actually dehydrate you in the long run, so avoid those on hot days. The biggest problem you’re going to encounter in the winter is the exact opposite: How are you going to stay warm? 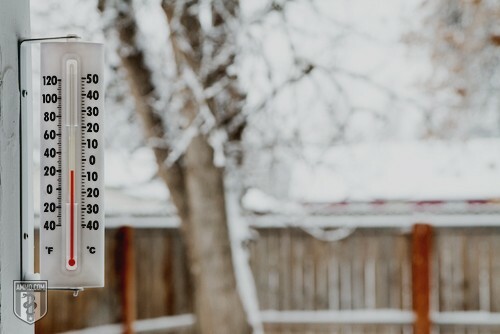 Your power supply might be cut off along with your electricity, so you should have some old-fashioned, off-grid fuel sources to help keep you warm. As we’ve stated above, carbon monoxide poisoning is an issue, so keep those precautions in mind. The clothing recommendations above should be done precisely in reverse. Dark colors and heavy clothes will keep you warm, and layering is your friend. Everyone sleeping in the same room can help to heat it up with compounded body heat. Investing in sleeping bags specifically for winter camping can help you and your family to keep warm when the power goes out. Any time you or a family member begin suffering from any of the above, get warm fast. Finally, you should be taking measures to protect yourself and your family from the human element in the event that the power grid goes down. The most dangerous animal is man, and those who have failed to prepare are certainly going to be coming after those who are ready for survival. Having thousands of rounds of ammunition on hand can mean the difference between you and your family surviving, even in the event of a temporary power outage, so stock up. From handguns to shotguns to rifles, get different types – including ammunition to train with when you’re sitting around without electricity. One of the good things about ammunition is that even an EMP isn’t going to impact your ability to shoot. Not only will it provide you and your family with defense against bandits and marauders, but it’s also going to give you something to do while you wait for the power to come back on. And, bonus, it will also help you to put food on the table. The main thing with a power outage is to be prepared. The more people who keep food and water on hand, the more likely it is that society will remain intact in the event of a power outage or any other sort of disruptive event. Educate your neighbors on this matter to ensure your family and your community are able to weather the storm.